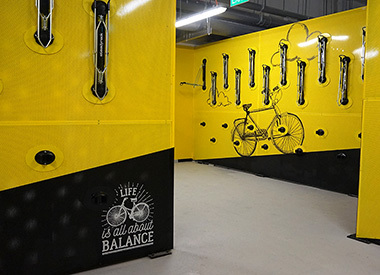 Fully fitted with 117 secured bicycle parking lots, lockers, changing rooms and showers, you can now enjoy a comprehensive range of end-of-trip facilities to freshen up from your ride to work. 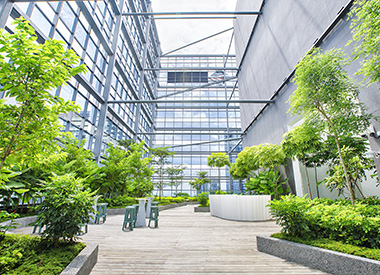 Our BCA Green Mark Platinum office building focuses on creating a green and sustainable workplace with our environmentally-friendly features. 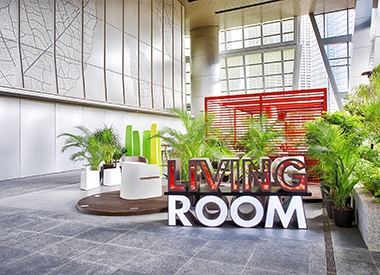 The Terrace is a green and vibrant area, an ideal space for getting together with colleagues or the community. Unwind with an exciting game of foosball, or recharge at any of the cosy resting pods.